At the height of his prolific career in the 1950s, Graham Sutherland (1903–1980) enjoyed huge popular and critical success. He was riding on the crest of a new-found enthusiasm among the British for a more accessible, figure-based modernism, one that was imbued with a sense of the numinous and spiritual. But by the last two decades of his life, having barely changed or “developed” his style, he was considered old-fashioned. Unlike Paul Nash, who died in 1949, Sutherland continued to live and work long after the movements with which they were both associated had ceased to feel terribly modern. Following a tradition of visionary artists such as Samuel Palmer, but deeply influenced by Picasso and European Surrealism, both artists were part of the English neo-Romantic movement. But there’s probably a more persuasive reason for Sutherland seeming today to lag behind Nash in importance: perhaps his strange, unsettling landscapes—which see collisions of acid-bright paint with enveloping swathes of void-like blackness—are simply not strange or unsettling enough. 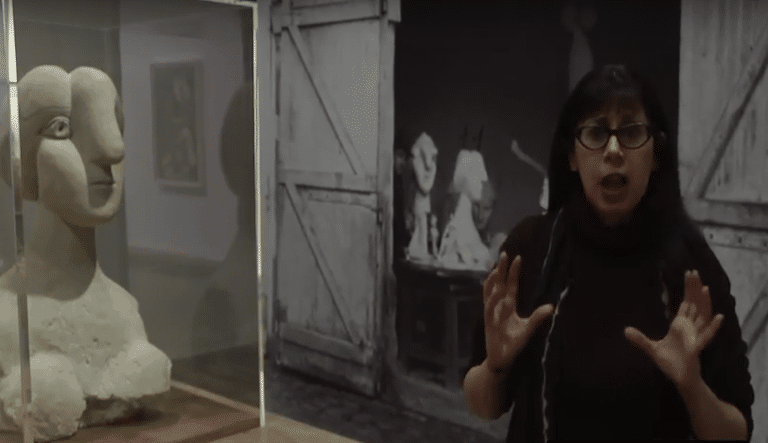 Whereas Nash’s concern for the genius loci animated his paintings with a mysterious and startling anthropomorphism, Sutherland’s indebtedness to Picasso seems to embed his art with more formal concerns. 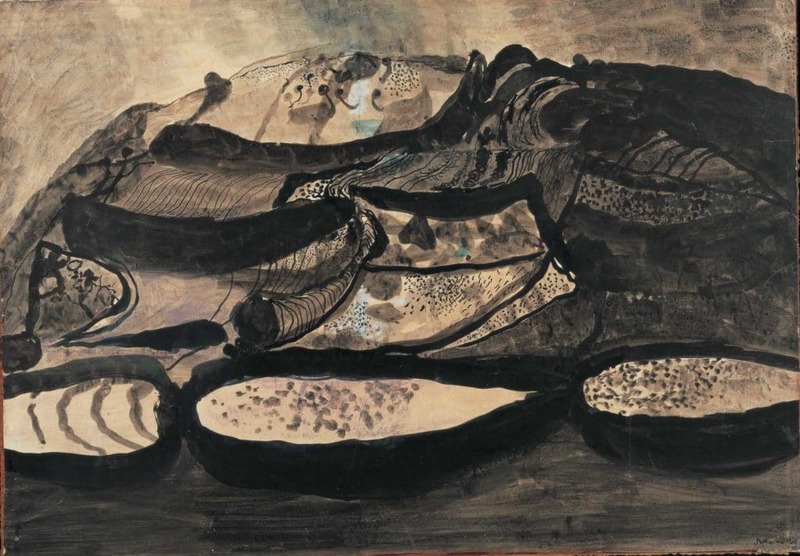 “Graham Sutherland: An Unfinished World” at Modern Art Oxford, concentrates on the artist’s works on paper, those studies and sketches which possess a quickness and fluidity that Sutherland’s finished paintings often lack. Curated by George Shaw, the painter who won the popular if not the judge’s vote for this year’s Turner Prize, the exhibition concentrates on three aspects of Sutherland’s career: his Welsh landscapes from the 1930s; those depicting the bomb devastation of the Home Front; and the works created after his return to Pembrokeshire in the 1970s. Exhilarated by the ‘exultant strangeness’ of the Pembrokeshire landscape, the natural forms Sutherland painted belong just as much to his imagination: Two Trees, 1947, shows the spiky embrace of two twisting and extruded trees, while Welsh Landscape with Yellow Lanes, 1939-40, features rearing, sulphur-yellow country lanes which the sun appears to be aggressively attacking with its rays. His greatest achievement, however, is his profoundly moving series of war paintings — apocalyptic scenes that seem to suggest the destruction of something much deeper than the world that is manifest and visible.